Business Technology is the ever-increasing reliance on information technology by businesses of all types to handle and optimize their business processes. SyncraTec’s Business Technology Events are discussions and demos focused on driving business growth, saving workers time through the discovery of more efficient processes, improving customer service, and generally bringing to light newly-available information technology. Our presenters will be from both inside and outside of SyncraTec, as we’ll bring in selected Independent Software Vendors (ISV’s) to present some of the great add-on solutions that integrate with Microsoft Dynamics 365. We’ll also explore outside the CRM-osphere and into the worlds of Office 365, Power BI, and Microsoft Azure to name a few. Look for upcoming Customer Immersion Experience (CIE) workshops focusing on Office 365 productivity, security, and compliance. If you have any suggestions for what you’d like to see us present in the future, please let us know. 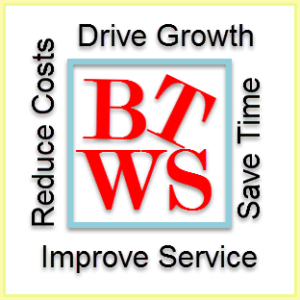 Please follow the link(s) in the sidebar to the right; and you’ll be directed to all the details on upcoming BTWS Webinar Series events. Recordings of past webinar sessions can be found on our SyncraTec YouTube Channel. Business Technology is the ever-increasing reliance on Information Technology by Businesses of all types to handle and optimize their business processes. We'll be presenting live webinar demos on a regular basis, and posting the recorded sessions to our YouTube channel.